It’s that time again, and another version of the ASHRAE 90.1 energy standard has been published. First, note that as of the end of December, by DOE ruling, all states in the USA had to certify that they had a commercial energy code in place at least as stringent as ASHRAE 90.1-2004. Most states are in compliance. Note that LEED is based on ASHRAE 90.1-2007, which is fairly similar to 2004. Note that most states have adopted IECC, which recognizes ASHRAE 90.1 as an alternative standard. * Automatic shutoff control requirements must be met for lighting alterations, including lamp and ballast retrofits, as long as more 10+% of the connected lighting load is replaced. This is a big change that dramatically expands application of the Standard into existing buildings. * Automatic shutoff control is no longer limited to buildings >5,000 sq.ft. * Automatic control devices must be manual-ON or auto-ON to 50% except in certain spaces. This will impact the application of occupancy sensors and scheduling systems. * Bilevel switching (at least one step between 30% and 70% inclusive of full lighting power), with some exceptions, including a long list of spaces where occupancy sensors are required. * Occupancy sensors are now required in an expanded list of applications. * Parking garage lighting controls are now required. * Automatic daylight harvesting controls are now required, imposing yet another way to define a daylight control zone. * Guest room hotel/motel/etc. lighting control requirements have expanded. * Stairwell lighting must now have a control device that automatically reduces lighting power by at least 50% when area is unoccupied. * All building façade and landscape lighting must be turned off on a schedule; other outdoor lighting must be turned off using a photosensor. * Advertising signage lighting and certain other outdoor lighting must be reduced by at least 30% based on occupancy or a schedule. * Lighting control devices and control systems must be functionally tested to ensure “control hardware and software are calibrated, adjusted, programmed and in proper working condition in accordance with the construction documents and manufacturer’s installation instructions.” Occupancy sensors, time switches, programmable schedule controls and photosensors are subject to specific functional testing requirements listed in the Standard. The construction documents must identify who will conduct and certify the testing. The tester cannot be the designer of the system. * Additional power allowance for the design using the space by space method by using lighting controls not required by the code, presumably including personal dimming control, task tuning, etc. Advanced lighting control is increasingly becoming the norm! Later this year, LCA will publish a whitepaper explaining these provisions in detail. You can buy ASHRAE 90.1-2010 at the ASHRAE bookstore. Can’t you publish it free? 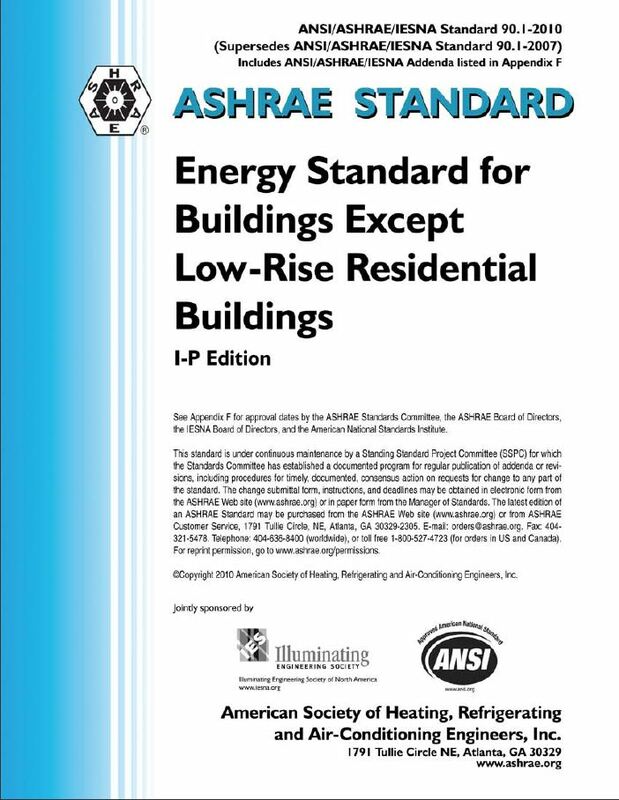 Unfortunately, LCA cannot publish ASHRAE 90.1, as it is the property of ASHRAE (www.ashrae.org). We will, however, summarize its lighting requirements in detail in the near future on this site. for calculation of lighting load,can we take 100%lighting load.based on the lightig load is given by electrical dept i have calculated. plesae clarify.Pl.inform this below calculation is ok.